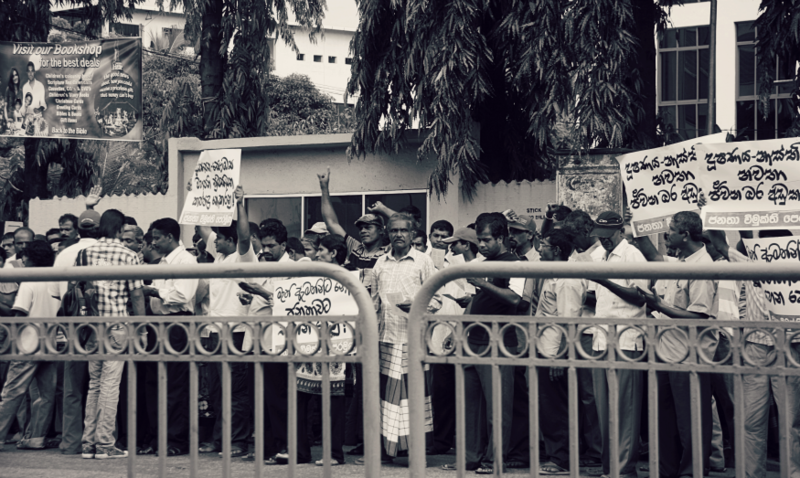 One of the sights we came across as we were driven around Colombo, was a protest lead by members of the opposition party, shouting anti-government slogans. They were protesting the rising cost of living, and this was taking place a day before the country’s president was to be sworn in for a 2nd time. It was a peaceful protest, as they never disrupted traffic or threw anything at anybody (my parameters for peace are rather simple). I hope they achieved what they were trying to do!